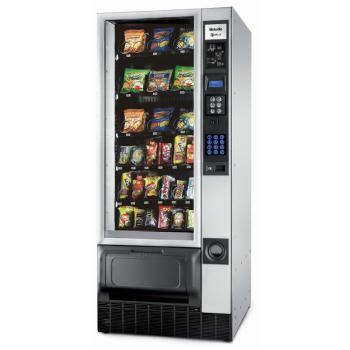 At Ratio Vending, we have one of the most varied ranges of snack vending machines in Ireland. Every machine in our range has been carefully chosen to provide the very best in terms of quality, reliability, and versatility. In addition, the glass fronted snack vending machines in our range are large enough to accommodate a huge amount of products. For consumers, this results in a much wider choice of snacks and treats. For business owners, it reduces the amount of maintenance required, as the machines will be able to last for much longer without being replenished. 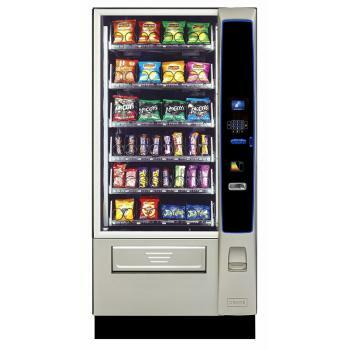 If size is an issue, we also have some more compact glass fronted snack vending machines in our range. These are ideal for areas where space is more limited, such as corridors, stairwells, and smaller staff rooms, canteens, and lobbies. 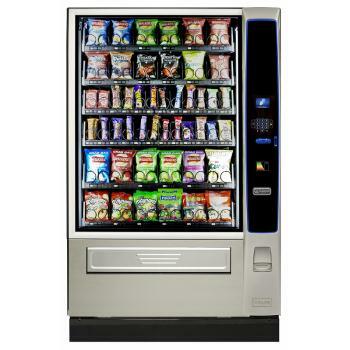 Indeed, our glass fronted snack vending machines provide an ideal automatic catering solution for most any business in any sector, whether you are looking for a machine for an office, industrial site, a school, a university, or a hospital, you will certainly not be disappointed with our range. 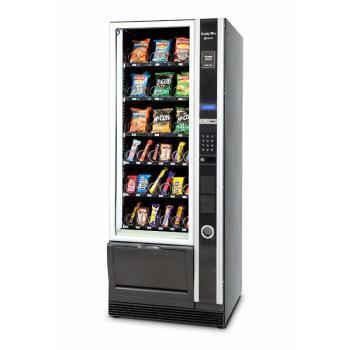 Each of our glass fronted snack vending machines is available in a range of configurations. You can choose between keypad and touchscreen interfaces, and some models are available as CarbonNeutral® versions. It is even possible to offer a combination of drinks and snacks in your machines. The choice is yours. 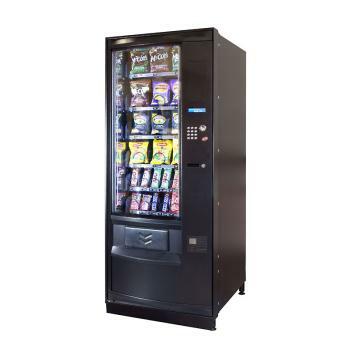 If you have any questions concerning our range of snack vending machines, or if you would like a quote for your business, call us on 028 90 826 562 (NI) or 1890 321 000 (ROI). Alternatively, you can email sales@ratiovending.com. The Merchant Media® 4 vending equipment is designed to attract the consumer to the machine and inspire confidence. The new customer interface area has been styled in a high gloss, durable finish with LED surround lighting, in either a Keypad or Touch version. This model is available in CarbonNeutral® giving the Merchant Media a minimal carbon footprint. The Merchant Media® 6 vending equipment is designed to attract the consumer to the machine and inspire confidence. The new customer interface area has been styled in a high gloss, durable finish with LED surround lighting, in either a Keypad or Touch version.